Plasma TV’s are known for their excellent black levels, overall great picture quality and in a lot of cases, their giant screen sizes. When it comes to the ultimate HDTV, many people turn to Plasma HDTV’s because of their superior picture. Historically, Plasma TV’s have been considerably pricier than other flat panels but as electronics usually go, their prices are becoming more similar. Finding the best plasma for you requires research. Check out our Plasma TV reviews to find the right one for your home. Searching for a specific Plasma TV review? Most people don’t really understand what the differences between Plasma, LCD, LED or projection really are. Even though some of the differences are minimal, there are some key difference makers that will help guide your HDTV hunt. Keep reading to see what the big differences are between Plasma HDTV’s and other screen types. How do Plasma HDTV’s differ from other options? The true difference between Plasma TV’s and other options like LED, LCD or projection is how the screen is actually lit. The phosphors in Plasma TV light up all by themselves which means they don’t require any light source from behind. 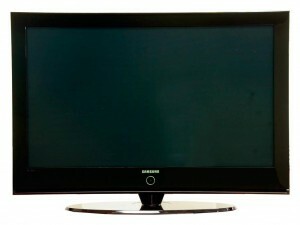 The original LCD TV’s use CCFL backlighting and the newer LED LCD TV’s use LED lights to light up the screen. Which is best? There isn’t necessarily one answer for everyone. Who should buy an Plasma TV? Although plasma TV’s aren’t quite as prevalent as they once were, there are definitely circumstances where they may be the best option. If you are a true videophile and are looking for a large flat panel TV to be used in a home theater setting where you can control the light in the room, a good plasma TV will definitely impress you.